Italy is one of Europe’s most-travelled to countries. Land tours and ocean cruises regularly visit this land of wine and culinary delights, but river cruises tend to bypass Italy altogether. It’s not because Italy isn’t a river cruise destination – it is. Rather, it’s because one of it’s prime waterways – the Po River – is tricky to navigate. 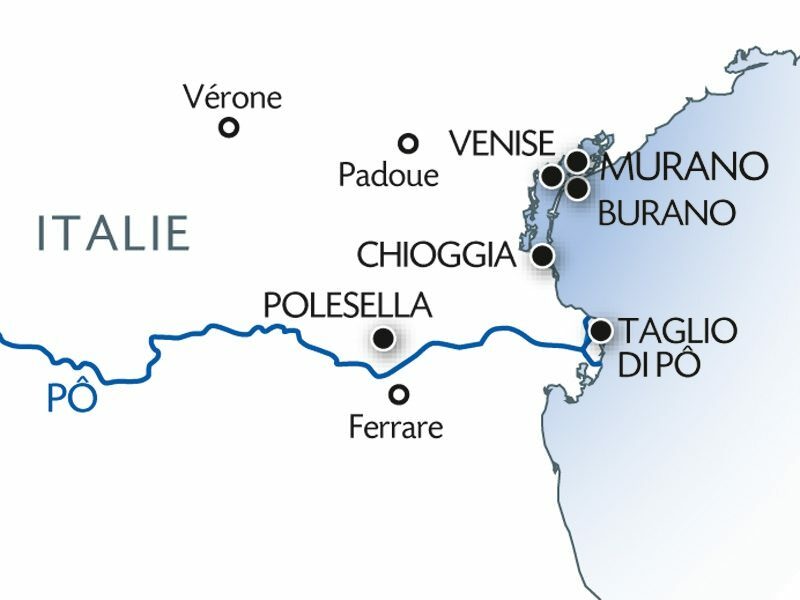 CroisiEurope’s voyages along the Po River sail into the heart of Italy – from Venice. Illustration courtesy of CroisiEurope. Once used by the ancient Romans for trade between the Mediterranean Sea and areas further inland, the Po River is nearly 700 kilometres (or roughly 400 miles) long. Fast-flowing and with constantly shifting sandbanks, it doesn’t quite have the illustrious grandeur of the Danube; Strauss, sadly, never penned a waltz after the poor Po. Perhaps it’s just as well, given the river’s shaky environmental past: Milan dumped its raw sewage into the river between 2002 and 2005 because the city couldn’t be bothered to develop a proper waste-management plan, and officials taking samples of the Po in 2005 were shocked to find that the water was full of benzoylecgonine – an ingredient secreted in the urine of cocaine users. But don’t let that scare you off: Po River cruises offer a unique way to see some of Italy’s most historic sites without the need for gruelling overland bus tours or a do-it-yourself road trip in a dinged-up Fiat. 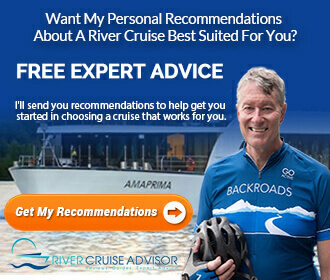 Who Offers Po River Cruises? CroisiEurope, shown here, and Uniworld Boutique River Cruises offer sailings from Venice along the Po. Photo courtesy of CroisiEurope. Uniworld Boutique River Cruise Collection leads the pack when it comes to Po River cruises. The all-inclusive luxury line was among the first of the North American-based lines to set up shop in Italy, and it has crafted some truly impressive itineraries in this historic region. The staple of Uniworld’s Po River lineup is the magnificent 10-day Gems of Northern Italy. Operated aboard the equally-magnificent River Baroness, Uniworld chooses to start this voyage in the fashion capital of Milan. A two-night pre-cruise stay awaits guests here, complete with free time and a guided tour of Milan and the chance to see Da Vinci’s historic Last Supper mural that was painted by the master between 1495 and 1498. 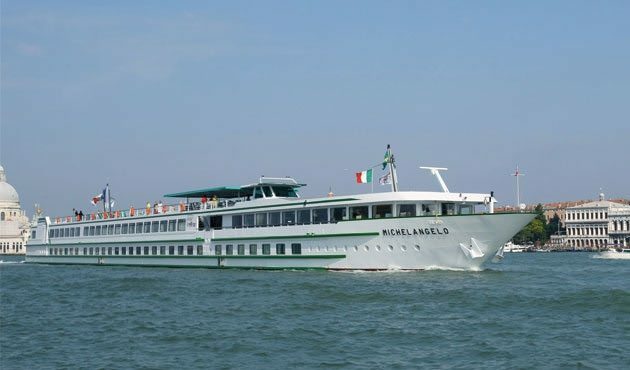 From Milan, guests travel to Venice to embark River Baroness. Along the way, a stop in Verona – the city of Romeo and Juliet – is included. River Baroness makes her year-round home in Venice. Photo courtesy of Uniworld Boutique River Cruise Collection. 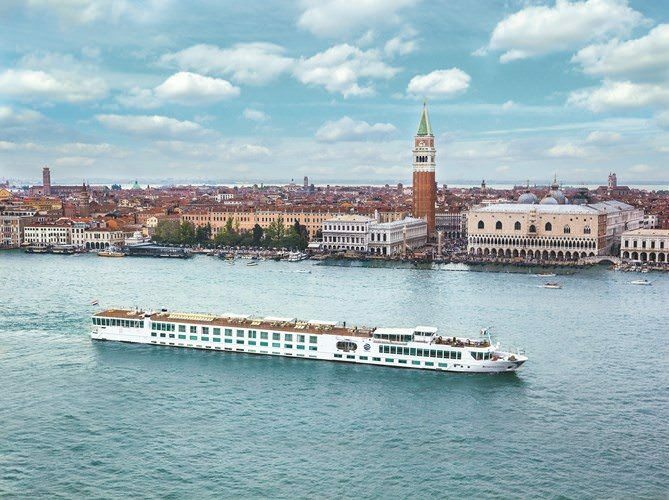 In Venice, the River Baroness acts as your hotel while you explore famous sights like the Bridge of Sighs, Piazza San Marco, the Doge’s Palace, or maybe just a stroll across the Rialto Bridge. Uniworld even provides an after-hours tour of St. Mark’s Basilica, provided no prior religious festivities are taking place in the evening. On Day 5, River Baroness departs Venice, bound for Chioggia and Padua. In Polesella, guests can elect to either visit the city of Bologna or a half-day in the UNESCO World Heritage site of Ferrara, which has been rated as a major center of the arts for generations. After that, it’s back to Venice on Day 7 for more complimentary guided excursions, including offerings that explore local markets, the surrounding islands (like Murano, with its famed Murano Glass), and even Lido, home to both the gorgeous Lido Beach and the Venice Film Festival. But Uniworld is not alone: Strasbourg-based CroisiEurope offers three separate river cruise journeys along the Po, and has just announced it intends to construct its third paddlewheel-driven river cruise ship expressly for the river. Right now, the line utilises the nimble MS Michelangelo, which is perfectly suited to the river thanks to its shallow draft and accommodations for 158 guests. Like Uniworld, CroisiEurope’s itineraries operate roundtrip from the stunning city of Venice. But unlike Uniworld, CroisiEurope’s offerings come in more digestible chunks, with departures spanning five, six, and seven days in length. This may seem odd to North American travellers faced with a massive transatlantic air journey ahead of them, but remember: CroisiEurope draws a substantial portion of its passenger base from Europeans who are fortunate enough to be roughly two hours’ flying time away from Italy. Even the shortest of these itineraries – the five-day Short Break In Venice – includes visits to Venice, Burano, and Chioggia. It’s not a great sailing for those who value lazy days of scenic cruising, but it is a terrific sailing for those who are okay with essentially using the MS Michelangelo as their very own floating hotel – with meals and beverages included. In cities like Venice where the sky is the limit in terms of traditional incidental charges at hotels, these river cruise journeys aren’t just fun; they’re also the most economical way to see this part of Italia. Who else sails the Po? 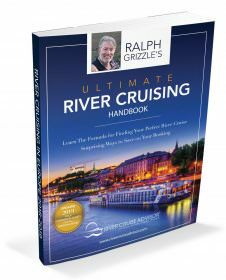 There are a handful of smaller operators but, at the moment, Uniworld and CroisiEurope are the two big-name river cruise lines currently operating on the Po. Is there room for more competition? It depends. With limited port of call options and relatively short distances to sail between them, many river cruise lines have understandably chosen to focus on more diverse rivers like the Danube and the Rhine. For the true voyage and port collector, however, a sailing through the heart of Italy on the Po is hard to beat.